What Is a Single Payer Healthcare Plan? Article Highlight: Are Vasectomies Covered by Insurance? What Options Does AARP Health Insurance Offer? When Are Companies Legally Required to Provide Employee Health Insurance? Will Insurance Pay for a Breast Reduction? Although our health is our most important commodity, it can also be one of our biggest expenses; luckily, health insurance is available to off-set many of the costs associated with medical problems. HMO -- Health Maintenance Organization (HMO) insurance is the most inexpensive option. It return, you get fewer choices. 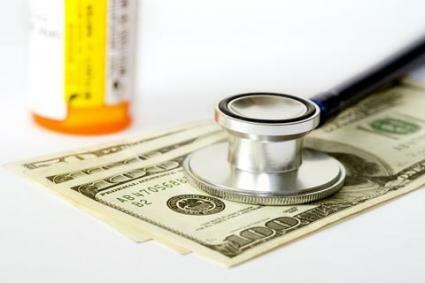 HMOs negotiate discount prices with specific doctors, hospitals, and treatment facilities. With an HMO, you must select an approved primary care physician to oversee your care. PPO -- Preferred Provider Organization (PPO) insurance is similar to HMOs in that the company negotiates discounted rates with specific doctors, hospitals, and treatment facilities. Unlike HMOs, however, PPOs give you the option of using the approved doctors or paying a higher fee to see a doctor of your choice. POS -- Point of Service (POS) insurance is a mix of an HMO and a PPO. Like an HMO, you have a primary care physician. However, for a higher fee you can go out-of-network without a referral from your primary care physician. It is also important to know your company's policy on pre-existing conditions. Health insurance is one of the most important purchases you can make, but also one of the most confusing. LoveToKnow strives to remove the cloud of mystery, allowing you to make a clear choice.